Alex Braine 'Bad Beats '87 Germany, via ParisAlex Braine aka 'Bad Beats '87, has contributed his production skills to artist, producers and groups in the the underground, and Main Stream music industry in, and outside of Paris, France since 2005. Now residing in Germany, his love for Jazz, Funk Soul, House and Techno music still sets him aside as a smooth and hip producer.As a popular producer among his other musical foes, his creativity and unique approach sets him aside from talented producers. With rhythmic ear grabbing underground production, his style keeps you wanting more. 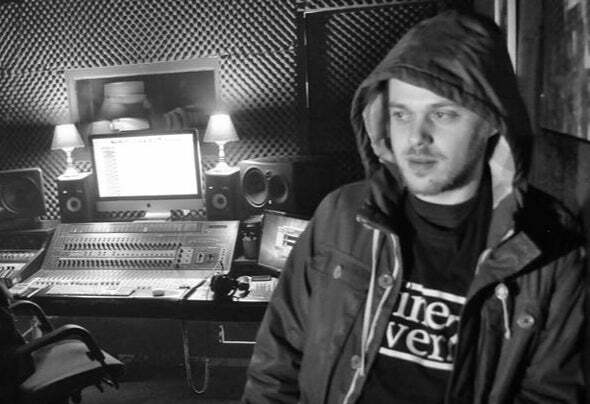 Alex has worked with rap group, 'Nine Fiverz' a popular rap group via, Paris, France; Faint Frequency Records (Chicago, USA); MF911 (Detroit, MI USA) and last but not least Dockside Records-Crew via, Paris, France. This only the beginning!Bad Beats '87 is the first overseas producers to release his freshman track throughDoublGlass Entertainment, via Detroit, MI. Expect more music from Bad Beats '87 for years to come!